Please don’t just look at the above photos! This website lists hundreds of window panels with pricing which you can search by size or style. One of many panels made to size. 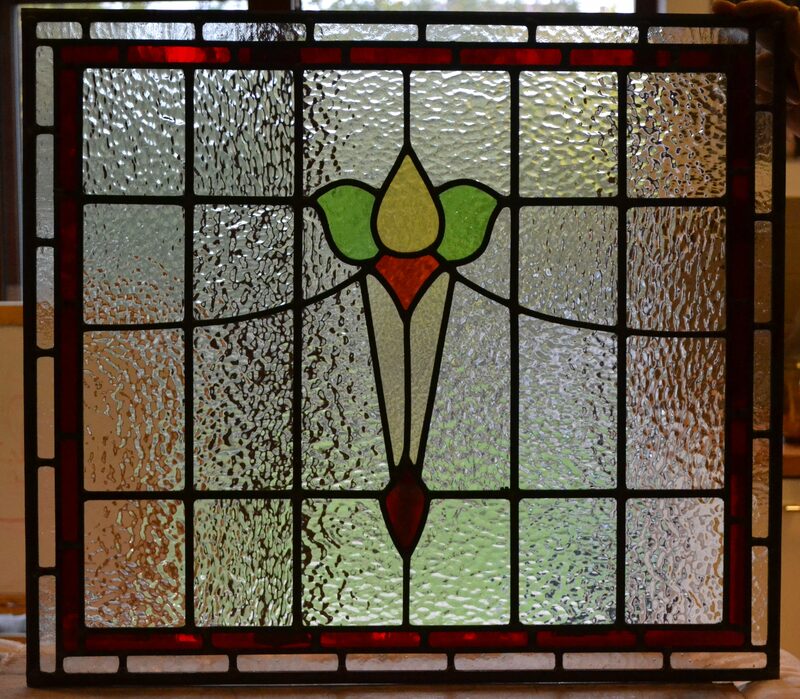 The flower is original glass extracted from a 1920s toplight the rest is new giving that extra sparkle. Reclamation is ideal for a bargain but if you cannot be flexible with your fitting size then even with my huge selection you might have difficulty. I can provide panels made new to your size. Although this is more expensive there comes a point when you might want to consider the amount of time spent trawling eBay and UK reclamation yards verses a tailor made solution. In other words: stop looking for a needle in a haystack! Please see my copies page for more information. R131 is very popular. Please send me your size if you would like a quote. All the above examples are made with pale tint antique cathedral glass but against different backgrounds and light. Note example c) and e) have a border feature which does not cost much extra. Click on images to enlarge. Worldwide delivery available – see further details. “the windows arrived in order, no cracks! well ‘sealed’! a big big thank you for what you’ve done! It couldn’t have been done better! (is the grammar right? :))”, Andrea Tremolada, Italy. Hello, Richard, I don’t think I wrote to let you know that the window arrived in Geneva in perfect condition. By the way, genius packing! We are so grateful for your patience and all the effort you put in to sizing the window and delivering it to us in Switzerland. We are keen to ask for more help from you to fill another much larger window but I feel that we were rather tough customers and you might need some breathing space before we get back to you!!! As soon as we have the window installed we will send you a photo. Just love the door, cottage country garden wish I had some where to install it, fabulous. Happy New Year Richard to you and yours. 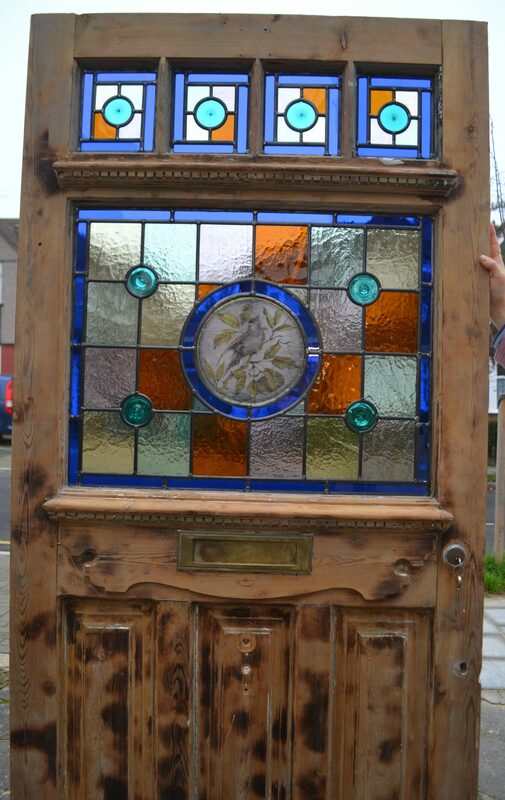 We purchased 2 beautiful vintage ‘Art nouveau’ windows. And they arrived in perfect condition all the way to Denmark in just 4 days!!!! Thank you so much. Many greetings from Janne & Michael. thanks for taking the time to write this Suzanne.